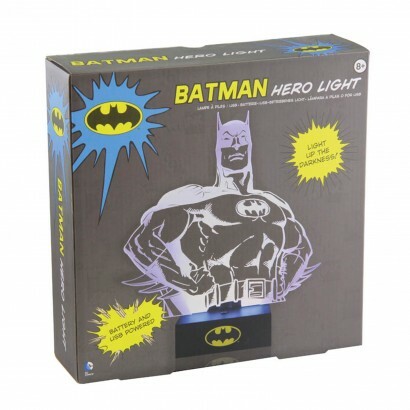 Lit by a bright white LED, the Dark Knight lights the way shining light into your room. 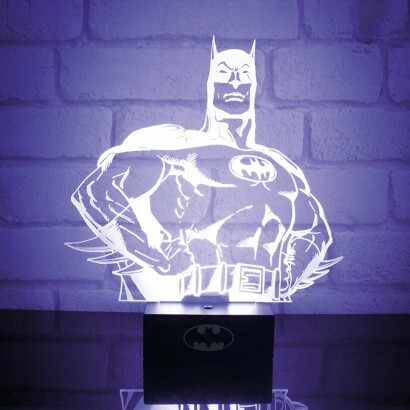 An iconic image of Gotham's number one resident made from etched acrylic, each detail is picked out by the white light to make a striking portrait mood light. 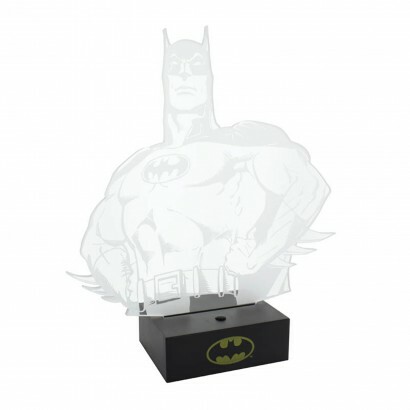 The dual power base allows you to power the light with either batteries or micro USB (included) giving you the freedom to place Batman anywhere in your home seeing off darkness and things that go bump in the night! Item was ordered late on a Saturday and arrived Tuesday morning (2 days before it was expected). Was packaged well, and my partner loves it. Would definitely use The Glow Company in the future.